A compelling love triangle. Marcia is young & sweet. Her older sister Kate is vain & selfish. Marcia deeply admires the man that Kate is to marry: handsome & respected David Spafford. But on the eve of the wedding, Kate elopes with another man. 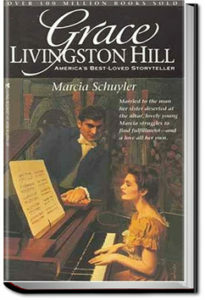 Marcia is there when the note is found…the note that effectively breaks David’s heart. Out of pity for his situation, Marcia offers to take Kate’s place, in order to save David from humiliation. She grows in love for him, all the while aware that he’s still grieving for his lost Kate. What will happen when Kate returns, fully intending to get David back? Will Marcia have the strength to fight for the man she now loves?